On Friday, March 8, eleven-day-old Brayden Tyler Frazier died in Sacramento at UC Davis Children's Hospital after a grueling battle to stay alive. 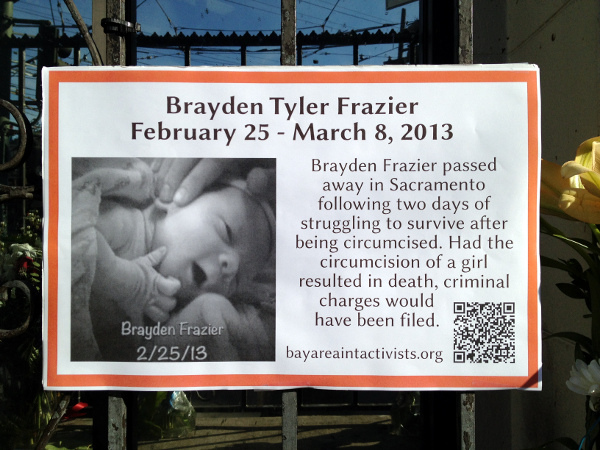 It is unclear why, despite having been in poor health, Brayden was subjected to circumcision in Lodi, California two days prior to his death. News of Brayden's failing health traveled quickly after his family members used Facebook to post pleas for prayers and updates about his struggle. 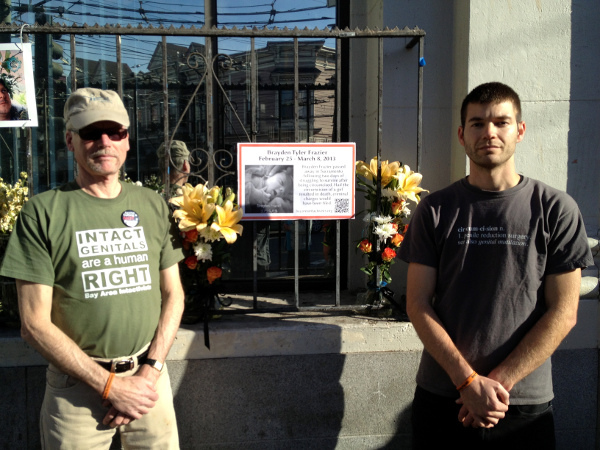 After learning of Brayden's tragic story, members of Bay Area Intactivists erected a temporary memorial for Brayden in San Francisco to raise awareness of his suffering and to illuminate one of the risks that accompanies the genital cutting of children. 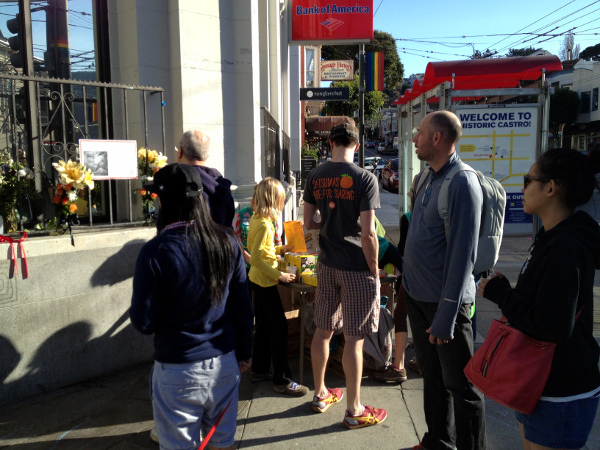 Unfortunately, circumcision-related deaths are a reoccurring yet underreported reality. As with any surgery, there are a number of complications such as hemorrhaging that can be fatal. Today a child died, apparantly because of circumcision – is it selfish to debate that?